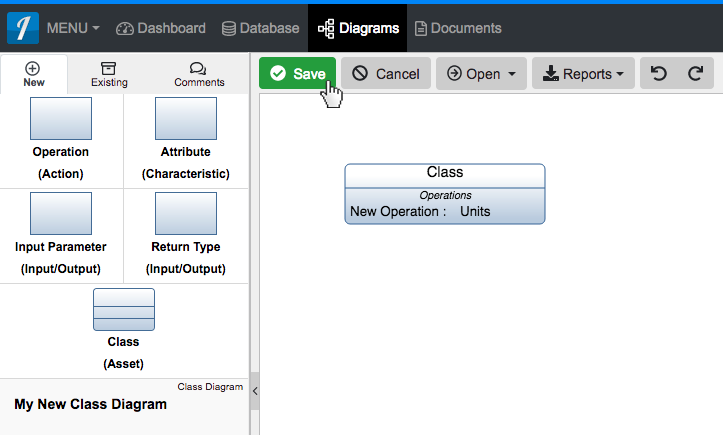 A 'Return Type' construct can be added to a 'Class Diagram' via drag-and-drop. An 'Operation' must first be added to a 'Class' in the diagram before this construct can be added. 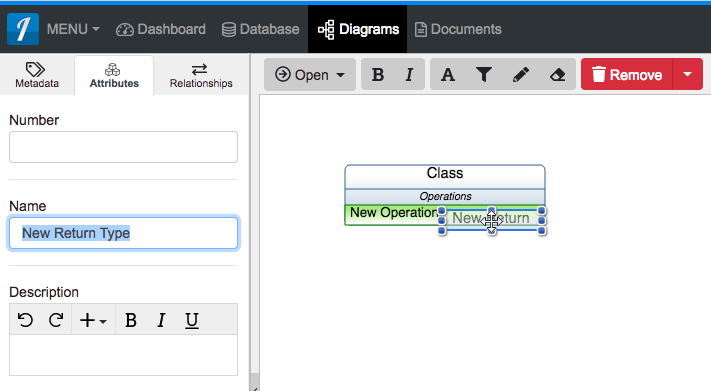 Within a 'Class Diagram,' click the 'Return Type (Input/Output)' icon in the 'New' tab of the left sidebar and continue to hold down the left mouse button. 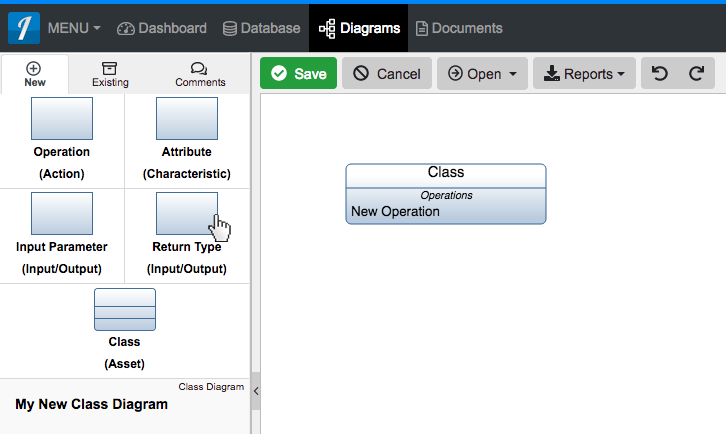 Drag the 'Return Type (Input/Output)' icon over to the bottom section of the 'Class' of the destination 'Operation' of your choice. 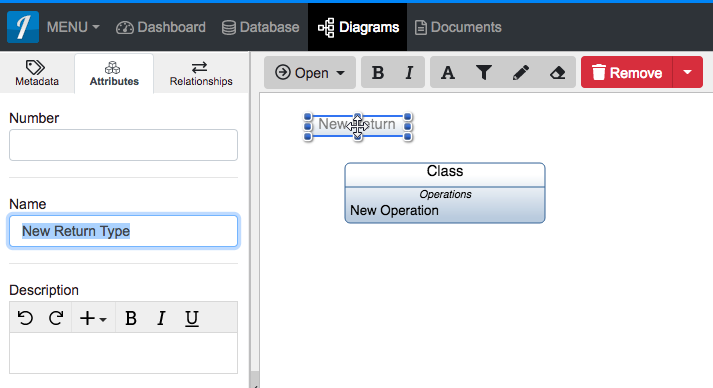 A ‘Return Type’ construct can be added to a ‘Class Diagram‘ via drag-and-drop. An ‘Operation‘ must first be added to a ‘Class‘ in the diagram before this construct can be added. 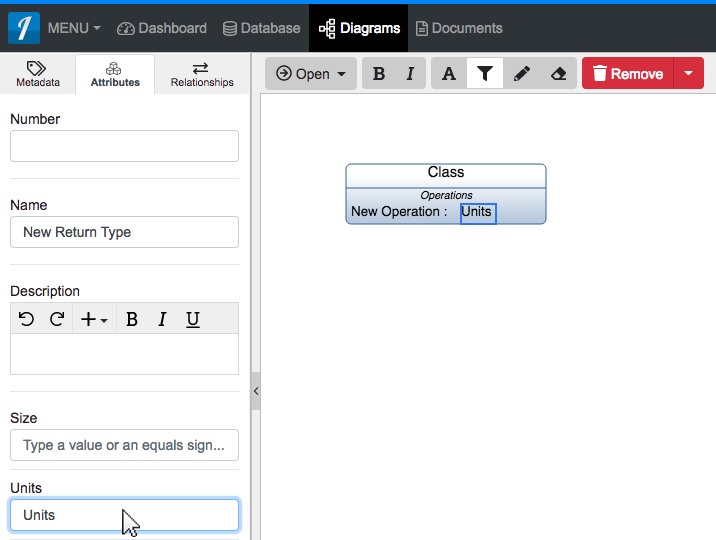 Within a ‘Class Diagram,’ click the ‘Return Type (Input/Output)’ icon in the ‘New’ tab of the left sidebar and continue to hold down the left mouse button. Drag the ‘Return Type (Input/Output)’ icon over to the bottom section of the ‘Class’ of the destination ‘Operation’ of your choice.